Real-time testing solutions for endocrine disrupting chemicals, estrogens, antibiotics, pesticides, industrial chemicals, toxic organics, surfactants, marine biotoxins, cyanotoxins, mycotoxins, residues, additives and vitellogenin. 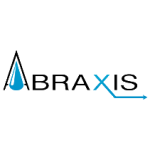 Abraxis is devoted to the design, development and manufacturing of immunochemistry products and methods to meet the testing needs of research and industry. Our scientific staff has experience with medical, industrial and environmental diagnostics. We are able to customize programs to serve client's specific needs with competitive pricing and high quality standards.